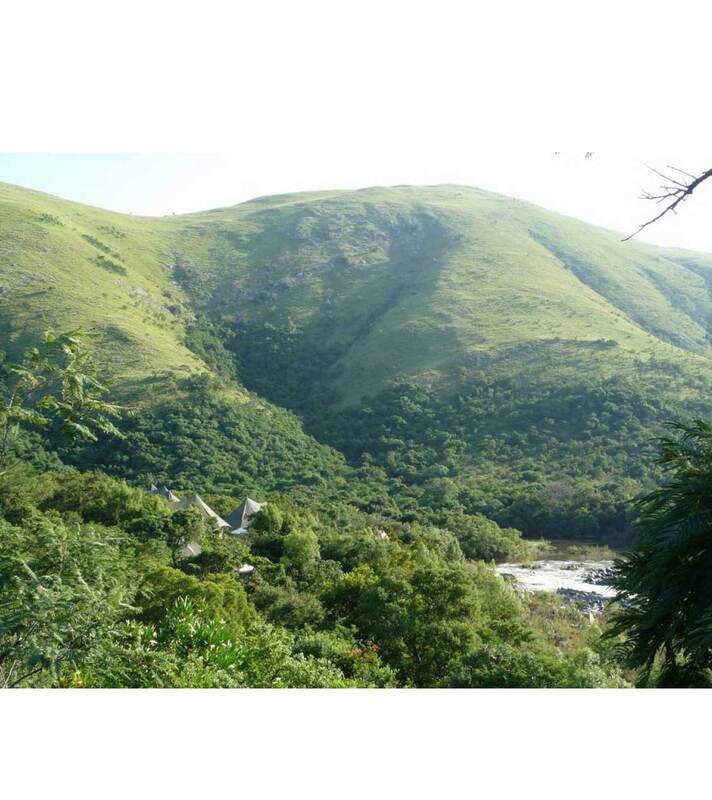 The elevated tents of Nkomazi camp enjoy the beautiful view of a horseshoe bend on the Komati River, Badplaas. 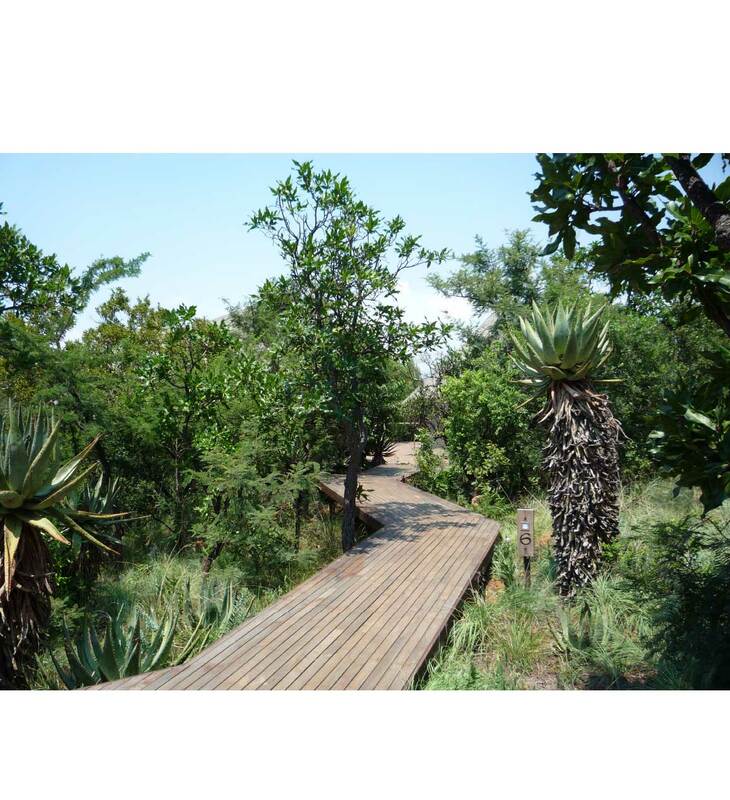 Designed with respect for the location as the primary focus, natural materials and indigenous flora are used extensively; seamlessly integrating interior and exterior spaces. 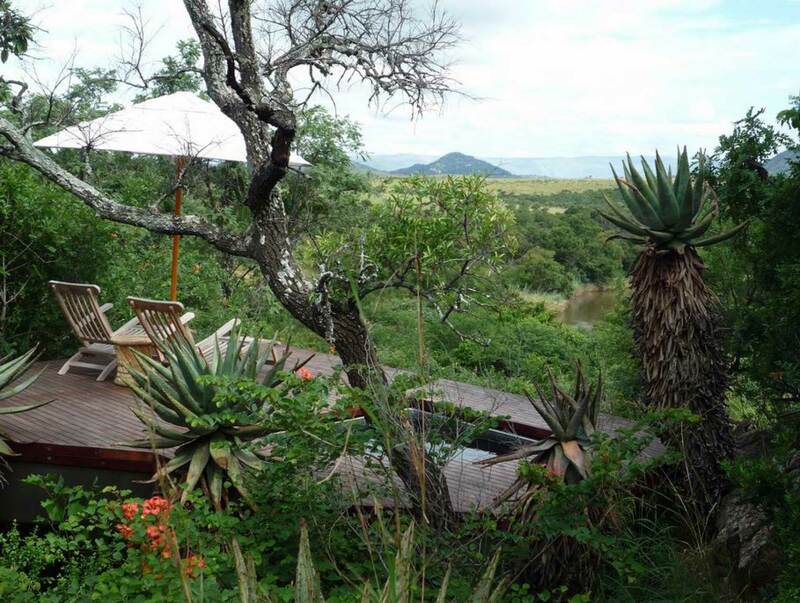 Each luxury tent, with private deck and plunge pool, is positioned sensitively within the environment so as to cause the least disturbance possible. 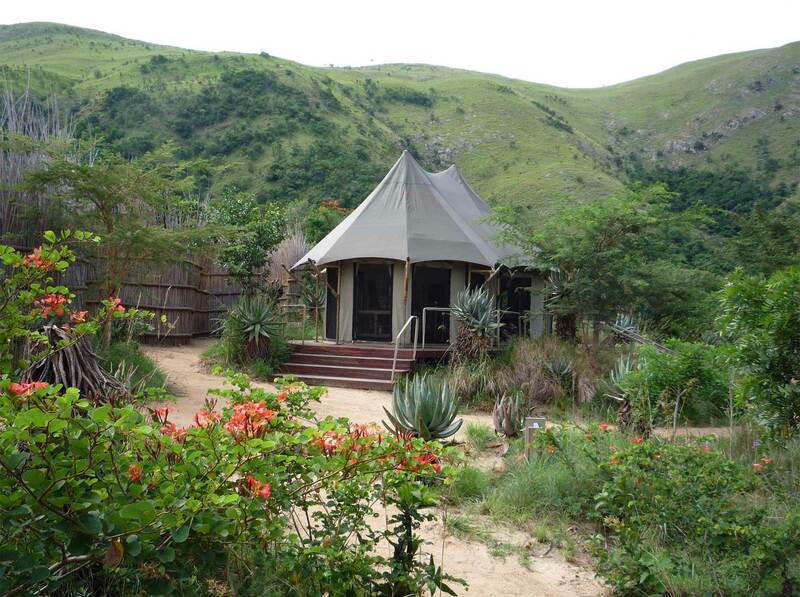 The tents are connected by gravel walkways and raised timber-boardwalks that are screened by indigenous plants for privacy. This rustic yet sophisticated camp includes an arrival court, boma, dining tent, spa, royal tent and fifteen guests tents, all placed with en environmental focus. Natural materials such as wood and stone add texture and context adding authenticity and a strong sense of place to the site. The secluded nature of the resort as well as the architectural design assures privacy without compromising on the feeling of space and openness.